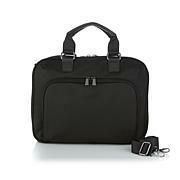 Travel in style with this beautiful, fashionably functional velvet and leather weekender duffle with RFID protection. This oversized duffle is the perfect shape to carry everything you need, and the travel pouches provide even more storage and organization. I bought this weekender bag in pink to go with the pink satchel. I feel like a million dollars as it has a satiny shimmery pink lining! The zippers on the front are stylish. The only thing it's missing is wheels but I plan to use it only on weekends as it's a light color and I would never want it to go through the airport. Beautiful! I love his bag. It is prettier in person. I ordered the grey and with the gold zippers it looks so rich. Really roomy and seems light. I recommend it very highly. 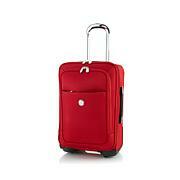 This piece of luggage is beautifully made, sturdy and appropriate for my weekend travel. Love it and have gifted it twice now. I just received my bags in black and jade. The colors are very vibrant. They are a nice size and perfect for a weekend trip. I will be ordering two more in pink for my daughters. I bought this as a TS and I love it so much I plan on getting at least one more in either cognac or blue. The "velvet" is not expensive velvet but I think this will hold up well for travel, and besides, at this price I wasn't expecting the expensive velvet I love. Perfect over-night or carry-on to hold your essentials just in case your luggage gets lost or stolen. Very sharp and classy looking. I have purchased Iman's luggage pieces in the past and all have held up very well. I love it! Thanks! It’s the quintessential partnership. The brains behind the simplicity of organization, JOY makes your life easier every day with her inventions and designs. As an iconic supermodel, IMAN stands for everything fashionable and has become your global editor-at-large, designing luxury garments and accessories. Together they bring you the best of both worlds, offering beautiful pieces that are as chic on the outside as they are functional on the inside.